Hardcover, 9.25 x 12 in. / 140 pgs / 71 color. 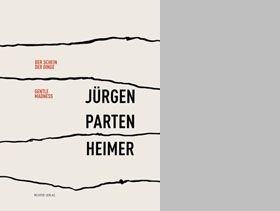 Essays by Heinz Althöfer, Iris Benner, Bazon Brock, Werner Schnell and Uwe Wieczorek. 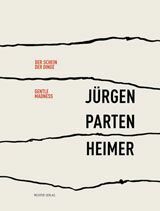 Rooted in sensually tangible factuality while alluding to life's realities, the work of Jürgen Partenheimer--drawing, painting, sculpture--reflects abstract pictorial design against the background of history (which he understands to be the stable foundation of his own artistic route). The sculptures, drawings and watercolors shown in this publication reveal an artist cognizant of the world that surrounds him. FORMAT: Hardcover, 9.25 x 12 in. / 140 pgs / 71 color.